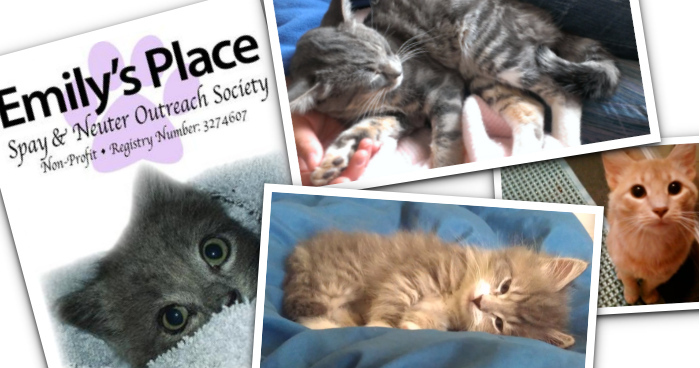 This is a non-profit society dealing with cat over- population, dedicated to helping families fund spay and neuter procedures for their cats in Cumberland County. We are solution based, as each family can bring unique challenges, and there is no such thing as perfect. There can be many reasons a family may need help getting their animal to the vet (it's not always financial) and in some instances re-homing may be the answer for the family and cat. We can prevent litters and halt the spread of disease caused by mating and fighting over territory. Private message the admins, call 902-667-4226, or email at emilysplace@outlook.com and we'll see what solutions we can create with you. Vote for Emily's Place to get funding via the Aviva Community Fund competition.